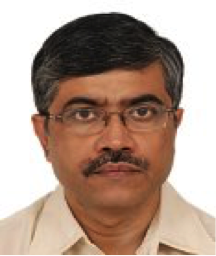 Dr. Sarit Kumar Das received his PhD from Sambalpur University in 1994 and worked as Post-Doctoral Fellow at University of BW Hamburg, Germany before joining IIT Madras in 1995. His research interests include nanofluids, nano-biotechnology, multiphase flow in microsystems, thermal hydraulics in nuclear and fuel cell systems, heat exchangers etc. He has authored more than 250 journal and conference publications and is one among the highest cited mechanical engineers in the country. India Citation Award 2012′ conferred by Thomson Reuters. Fellow of National Academy of Sciences (NASI), Allahabad, 2011. Peabody visiting Professor, MIT, Cambridge, Massachusetts, 2011. Fellow of the Indian National Academy of Engineering (FNAE), 2006. Alexander von Humboldt Research Fellowship, Germany: 2000-01. Computationally guided photothermal tumor therapy using long-circulating gold nanorod antennas; G von Maltzahn, JH Park, A Agrawal, NK Bandaru, SK Das, MJ Sailor, S. N. Bhatia, Cancer Research 69 (9), 3892-3900, (2009). Stability and resonant wave interactions of confined two-layer Rayleigh–Bénard systems; SV Diwakar, S Tiwari, SK Das, T Sundararajan, Journal of Fluid Mechanics, 754, 415-455, (2014). Experimental investigation of dry feed operation in a polymer electrolyte membrane fuel cell; PK Jithesh, T Sundararajan, SK Das, Journal of Power Sources 260, 243-250 (2014).